For countless enthusiasts across the nation, motorcycles symbolize passionate freedom and exhilarating highway adventures. When the open road calls, these thrill-seeking bikers put on their helmets and take off on new journeys. However, highways can be incredibly dangerous for motorcyclists whenever car or truck drivers refuse to tolerate their presence. This often leads to aggressive driving behaviors that put the motorcyclist’s life in jeopardy. Consequently, the fatality rate for motorcyclists is 6 times greater than that of car and truck drivers. Motorcycle accidents often lead to catastrophic injuries and heartbreaking fatalities. 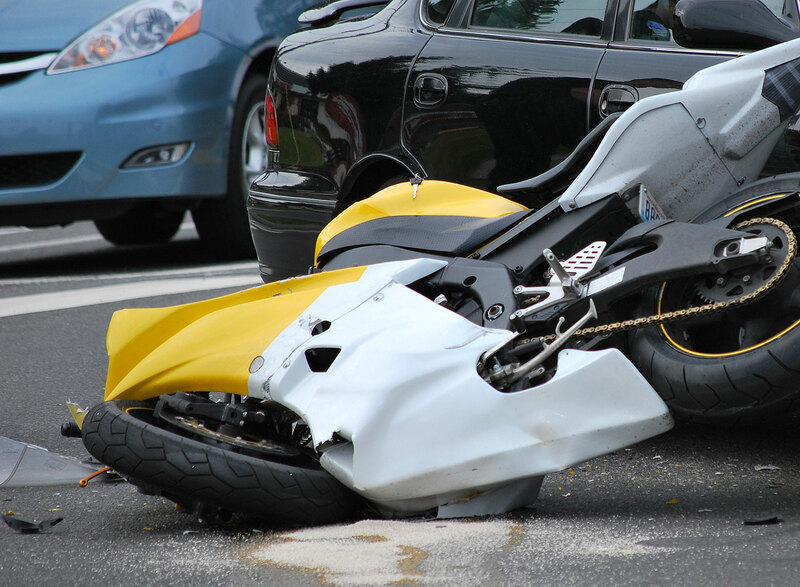 If you’ve been injured due to the reckless or negligent actions of another person, contact the Peoria motorcycle accident lawyers at Schierer & Ritchie, LLC. With over 30 years of experience, our legal team has the skills and experience to help you file an effective claim and secure compensation. We are available 24/7! Call our Peoria motorcycle accident attorneys at (309) 839-2024 if you’re interested in filing a personal injury claim. When accidents occur, motorcyclists tend to sustain severe injuries because their only physical protection is whatever safety gear they happen to be wearing. Legally, motorcyclists are entitled to the same road privileges as car and truck drivers. However, some motor vehicle drivers become frustrated and anxious around motorcyclists, leading them to make problematic decisions that jeopardize the lives of everyone on the road. Alternatively, a speeding or distracted driver may not even notice a motorcyclist, and inadvertently be responsible for an accident that alters the rider’s life forever. Regardless of how severe your injury is, you have the legal right to file a personal injury claim against a negligent party. A successful lawsuit can safeguard your quality of life by securing damages that alleviate any costs related to your ongoing medical care. At Schierer & Ritchie, LLC, our Peoria motorcycle accident lawyers have successfully represented countless cases and have the experience to maximize your damages. No matter how complex your individual case is, you can depend on our team to provide you with effective legal representation and compassionate guidance. Contact Schierer & Ritchie, LLC to learn how our legal team can effectively represent your case. During your free consultation, we can discuss the collision, review your injury-related expenses, and customize a case strategy that can reflect your legal and financial objectives. We understand how a physical injury can impact your career, devastate your finances, and threaten your quality of life. Our priority as a firm is to help you secure damages that ultimately facilitate your physical and financial recovery. Contact Schierer & Ritchie, LLC at (309) 839-2024 to schedule a free consultation.